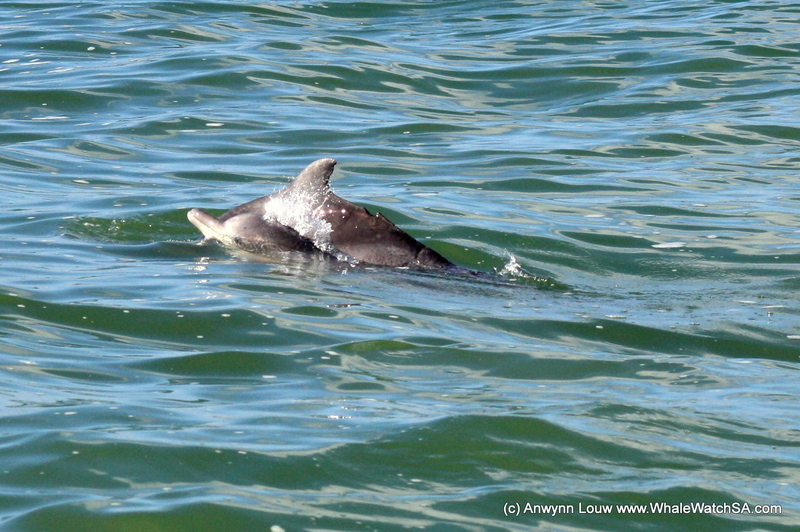 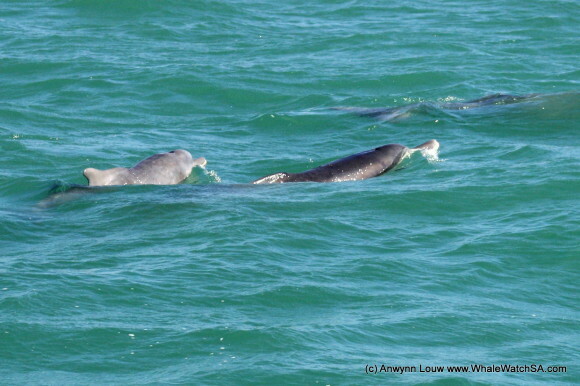 We launched from Kleinbaai Harbour and literally 5 minutes later we spotted 5 Indo Pacific Humback dolphins!! They were really relaxed and we had them around the Whale Whisperer again on our second trip. As we moved away from the dolphins, our incredible wildlife spotter, Kiera, pointed out Brydes whales. 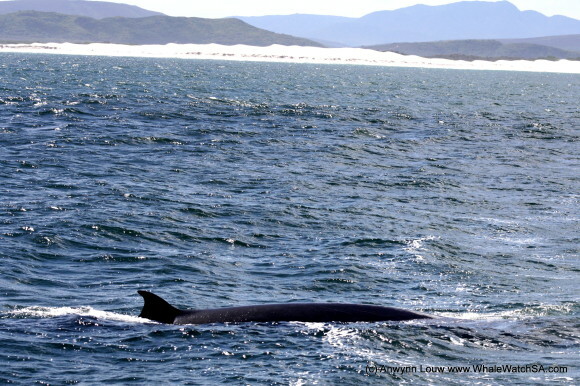 These whales are normally very shy and not very easy to photograph, they come above the water for a few seconds and can stay under the water for as long as 20 minutes at a time. 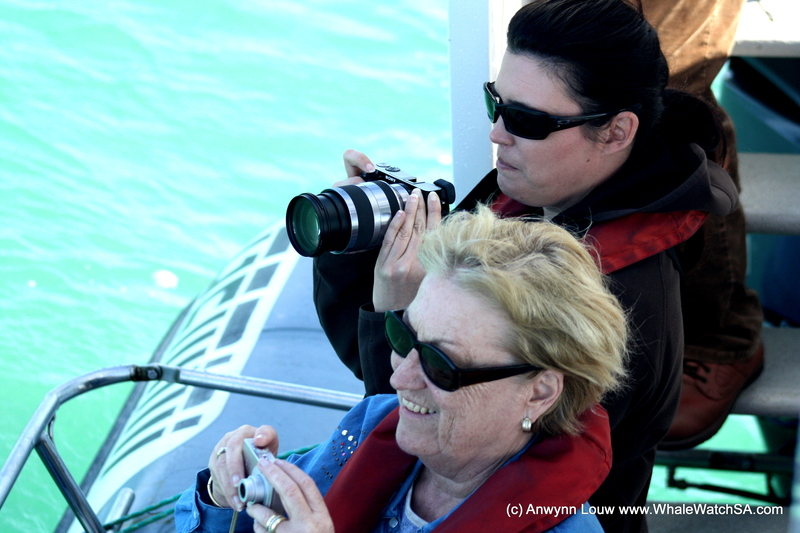 On our way to Dyer Island we stopped at Marine Dynamics’ shark cage diving vessel to have a look at some Great White sharks. 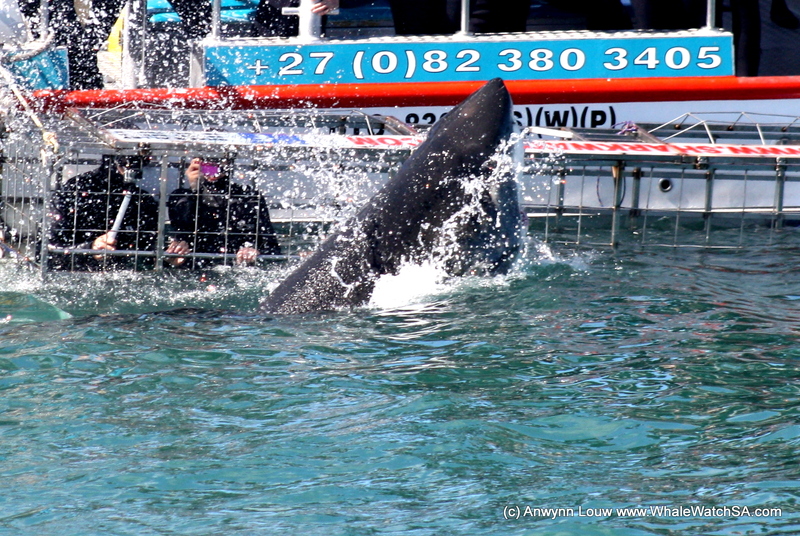 There were 3 sharks around the boat, of which one was a 4.2m female shark! 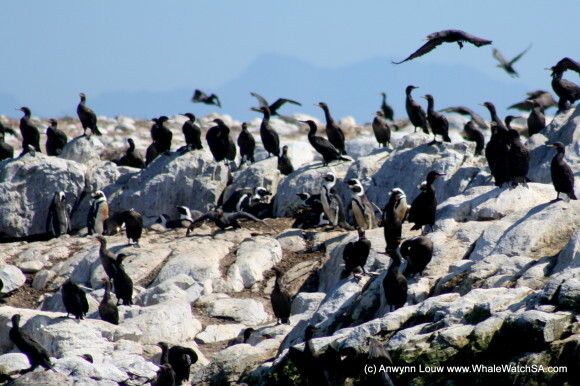 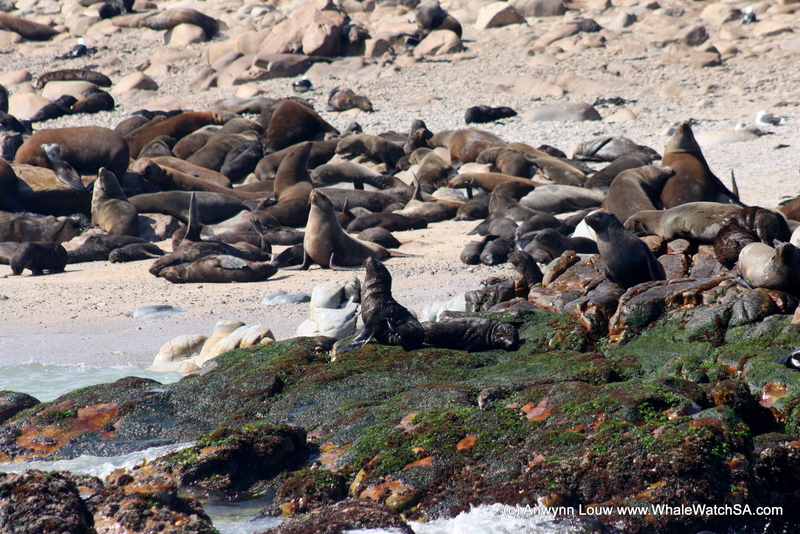 At Dyer Island we saw a juvenile African Penguin and a few more adults and 1000’s of seals on Geyser Rock. 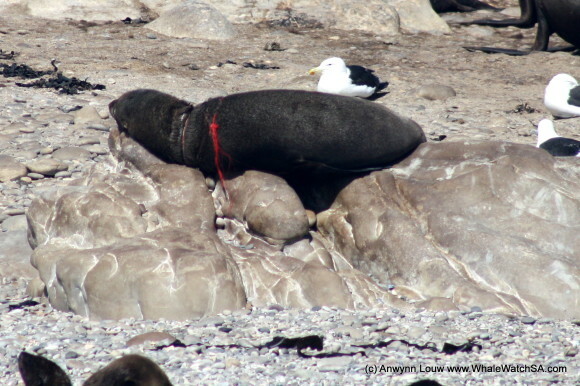 The only down side to our trip was when we spotted an injured seal. It looked as if the seal sustained he’s injury from a fishing line that was caught around his neck.